However, how colleges respond to drinking has changed as new research has come out on how to positively impact students. 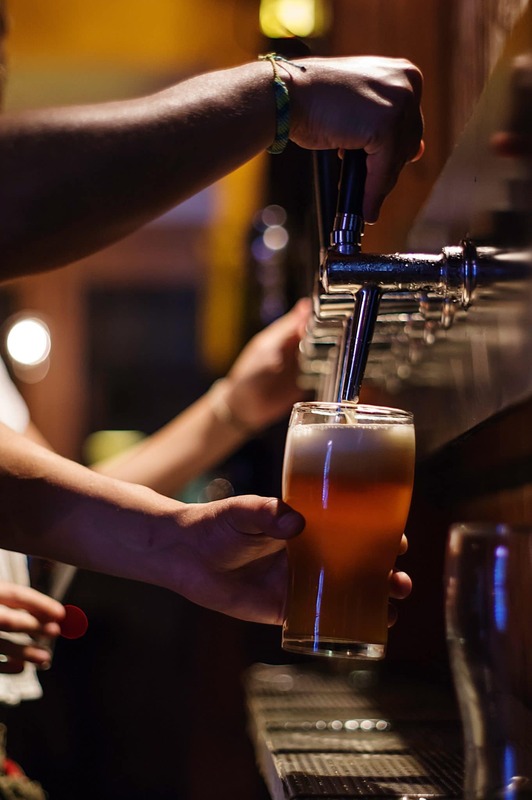 The way campuses keep their students safe and the ways in which students can learn to effectively manage their drinking has taken an empowering approach. Doug Everhart, Director of Center for Student Wellness & Health Promotion at the University of California, Irvine, gave an overview of the recent history of approaches to youth drinking and drug use. Starting in the 1980s, Everhart mentioned the Nancy Reagan Just Say No campaign, which was created in response to drug and alcohol use. The goal was to discourage youths from taking part in these activities altogether. “A lot of the approaches for education [at the time] were just that, the scare tactics and ‘just say no to drugs’, and that was about it. It was very simple,” said Everhart. Everhart discussed the scare tactics that are well-known to this day, like the image of an egg in a frying pan with the text, ‘This is your brain on drugs’, or the film shown in many driver’s education courses, Red Asphalt. However, in the 1990s, Everhart explained how the federal government became more interested in funding evidence-based approaches, particularly on college campuses as students were viewing these extreme messages as propaganda and unlikely to happen to them. Overall, the message became more positive and is now used as a tiered message approach: social norms, harm reduction, environment matching, peer education. Along with the social norms approach message of, “join the majority of students that are making healthy choices,” came the message of how these students are managing their use in a way that is keeping them from harm. And, these messages ring true with the data. Although no correlation was made to particular campaigns, there is an overall conclusion that drinking habits on college campuses have improved. Everhart explained how these messages are more likely to be carried peer to peer because the message is more positive, and students are more likely to internalize these messages when they come from their peers. UC Irvine, as well as other schools, take the approach of coupling these messages with supportive environments in order to validate them. “If we’re saying most students are making healthy choices, then let’s take a look at environmental strategies like making sure our campus pubs aren’t having drink specials and 50 cent beer night and things like that. Let’s make sure that our messaging and our environment are matching what we’re saying with the data,” said Everhart. While these messages are important, Everhart stressed the necessity of learned skills rather than stopping after giving students the information. Instead of simply telling students to manage their drinking, teaching students about their BAC is much more effective. “There are two factors that you control once you start consuming: how much you drink, and the time between the drinks you have. Those two things will help you manage your BAC effectively and keep it at levels that the research shows are low-risk,” said Everhart. Specifically, Everhart called on research that shows that a BAC between .05 and .06 keeps people at what he calls the “happy, healthy, fun zone.” Of course, this is for students that are of legal drinking age. “It’s a slight buzz, but you’re still somewhat in control. Not that I think you should drive or make big decisions, but in a social environment, you’re in that sweet spot,” said Everhart. Another skill UC Irvine teaches students is the standard drink formula. Many students are taught to count drinks by standard volumes: one drink is 12 ounces of beer, five ounces of wine, or 1.5 ounces of hard alcohol. However, there is a range of percent by volume in each type of alcohol, which makes these numbers often inaccurate. So, the standard drink formula helps students accurately count their drinks. A component of the standard drink formula is alcohol by volume, or ABV. Many restaurants list this on their menus. The standard drink formula is: 60% / ABV = Standard Drink Size. So, if you’re drinking a beer that is 5% ABV, 60 / 5 = 12 ounces. If you have 24 ounces of this beer, you have consumed two standard drinks. “It’s about teaching those skills so [students] understand that it’s not just counting your drinks as 12 ounces of beer, 5 ounces of wine, and a shot of liquor, it’s understanding where those numbers come from and how to re-calibrate them when you’re drinking something other than what those definitions were defined by,” said Everhart. Essentially, educators like Everhart take the approach that they aren’t here to scare you with extreme cases and tell you to never drink, they want to teach students how to be responsible. “What this country doesn’t do is prepare people for when they are ready or when they are legal how to drink. It’s that Just Say No approach…until you’re 21, and then all the sudden when you are 21 it’s ‘OK, have at it, go nuts.’ We take the approach that we’re going to teach our students and educate our students on how to manage that, so when they are legal and they are ready, they can do so in a low-risk, responsible way,” said Everhart. Using the standard drink formula to learn how to count your drinks and keep your BAC at a safe level is one way to learn how to drink responsibly. The bigger picture is to understand that drinking may be part of social norms, but so is doing this in a healthy way.